Antique TVs will continue to work after February, 2009 if they are connected to cable tv or when used with a set top DTV converter box. I electronically restore Antique TVs too. 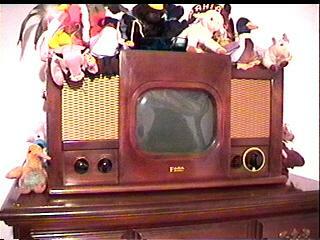 Just like Antique Radios, when the paper and electrolytic capacitors are replaced in an Antique TV, the TV performs as well or better then it originally did many years ago. For the most part. 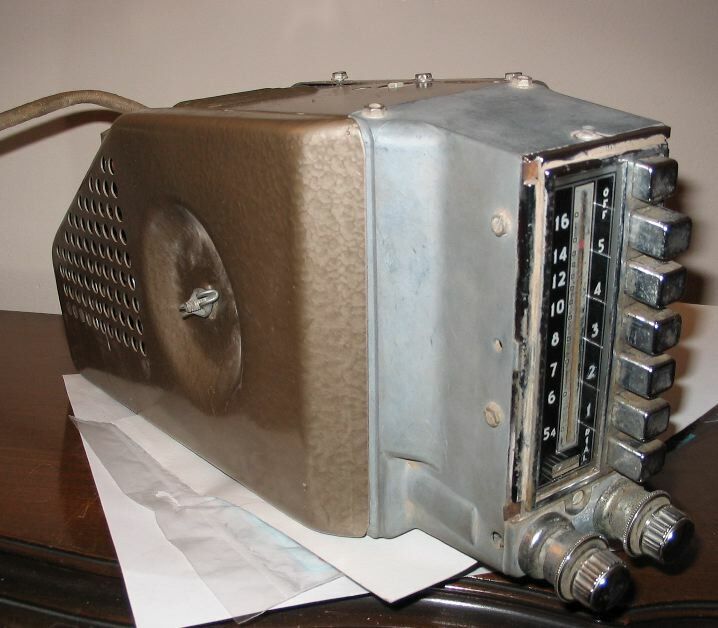 TVs made before the late 50s contain the highest numbers of paper and electrolytic capacitors. For example, the tv shown above contains over 50 capacitors that need to be replaced. Such a restoration usually costs between $1,000 and $1200. at my flat rate, (White Glove) prices. A set like the Philco Predicta from the late 50s costs about $500.00 to restore, and many of the late 50s metal table top portable sets cost between $300.00 and $500.00 to restore. Add your return shipping to those prices and that's usually what a restoration will cost. Very seldom do I receive a set that needs a major part such as a fly-back transformer, power transformer or picture tube. The format of this page will soon change to that of the Radio, Specials and other pages. Wow! I guess I never did re-format this page. It's 2011 and it hasn't been changed since 2006, about 5 years. 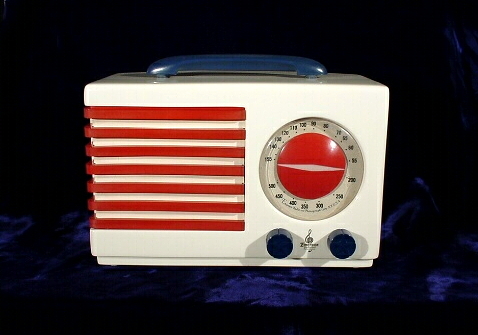 Antique TV Restorations are the same as Antique Radio Restorations, only there's a lot more work to do. 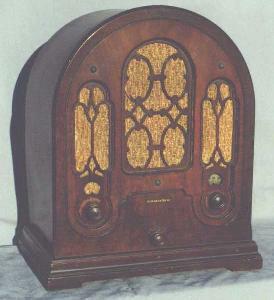 There are very few Antique Radios that have as many capacitors as Antique TVs. Basic Pricing: $15 per capacitor replaced + return shipping. 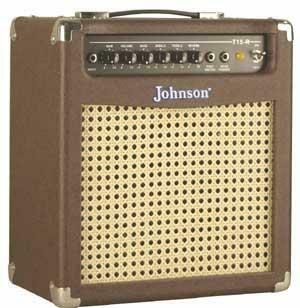 Some sets use some very expensive capacitors compared to those in radios, so there may be an additional charge for those few extra capacitors. I will let you know the cost before I begin the work. The electronic restoration an Antique TV is a very large job. Many times it takes over a week to replace all the capacitors. TVs like this are hand wired. There are no printed circuit boards. Wires are attached to terminals and then soldered. To replace the capacitors, I have to first remove the wire from each end of a capacitor from a terminal and then install the new capacitor. They don't just plug-in. After all the capacitors are replaced, sometimes there are problems. There might be no picture, or no sound or there may be problems with the picture where it's too light or too dark or it rolls vertically or horizontally or it whirls. These problems can be due to defective tubes, or other compontents. Most of the time, though, the tubes are good, and resistors have either changed value over the years (called drifting), so that they are no longer the correct value, or they stop working altogether (called an "open" resistor.). Sometmes the problems are due to defective capacitors of other types. Then sometimes the problems are solved by proper adjustment of the controls. Theere's a lot of controls on Antique TVs. Nothing is Automatic. It's fun to watch old black and white tv shows on an Antique TV set.